Are Social Security Disability Benefits Subject To Taxes? Home » Blog » Are Social Security Disability Benefits Subject To Taxes? While Social Security disability benefits can be subject to federal and state taxes, the majority of recipients do not pay taxes on their benefits. This is because they typically don’t have much income outside of their disability check. Understanding your benefits and whether or not they will be taxed can be complicated. The Wisconsin SSDI lawyers at Fitzgerald & Bomier are here to explain how it works. According to the Social Security Administration (SSA), “About one-third of the current beneficiaries pay taxes on their benefits.” These individuals’ benefits are affected because they are receiving substantial income from a spouse or another source. Most of the one-third paying taxes on their disability benefits are receiving SSDI (Social Security Disability Insurance) rather than SSI (Supplemental Security Income). SSI benefits are not taxed because if the individual had enough income to tax they would not qualify for SSI in the first place. 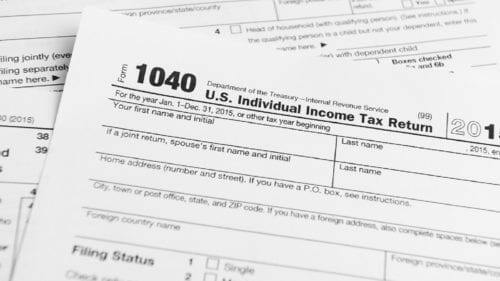 When Does The Federal Government Tax Disability Benefits? Depending on your household income, your disability benefits could be taxed by the federal government. If you or your spouse make over a certain amount annually in addition to your Social Security benefits, a portion of your benefits will likely be taxed. The higher your yearly household income, the more your benefits will be subject to tax. Below are two charts that outline the maximum percentage of your disability benefits that could be taxed based on your annual earnings. The amount of annual income that determines whether or not your benefits will be taxed differs between those filing their taxes as an individual and those filing jointly as a married couple. It’s important to keep in mind that the percentages listed here are the maximum amounts of your SSDI benefits that could possibly be subject to federal taxation. They do not depict the actual rate that your benefits will be taxed. If your annual income is above these amounts, your disability benefits will be taxed at your marginal income tax rate that is applied to your other income. Your marginal tax rate is the percentage of tax applied to your income for each tax bracket in which you qualify. An individual’s marginal tax rate increases as their income rises in order to fairly tax individuals based on their earnings. Using your marginal tax rate, it is likely that your disability benefits would actually be taxed at a rate of 15-25% instead of the maximum 50% or 85%. Calculating the actual portion of your Social Security benefits that will be taxed can be confusing. In order to determine what portion of your benefits, if any, is subject to federal taxation, you can use the IRS Social Security tax calculator. Will Disability Back Payments Be Taxed? Sometimes individuals can receive their SSDI benefits in the form of a lump-sum payment. This can happen when retroactive or back payments are owed for the months an individual was disabled but not yet approved for benefits. Receiving benefits in a large lump-sum will increase your annual income amount for that year, which can cause your tax rate to be higher than usual. In order to avoid paying higher taxes on your back payment, you can apply any part of your benefits that were for months from the previous tax year to the previous year’s tax return. For instance, if you were disabled for 24 months before being approved for Social Security disability benefits, you might receive a back payment in a lump-sum for those 24 months. 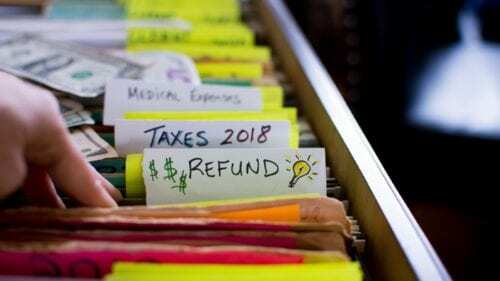 You may be allowed to amend your tax returns from the previous two years to show that part of the lump-sum payment was received in those years instead. This will lower your annual income amount for the current year, so you won’t have to pay taxes on the lump-sum payment all at once. Calculating the taxes you may owe on a back payment for disability benefits is no easy task. If you find yourself in this situation, an experienced Wisconsin SSDI lawyer can help. Understanding Social Security disability can be challenging as it is a complicated government program with specific rules and regulations. If you’re having trouble understanding how taxes might affect your benefits or any part of the Social Security application or appeals process, it’s in your best interest to consult an attorney. The knowledgeable Wisconsin SSDI lawyers at Fitzgerald & Bomier understand the hardships that life with a disability can present. Our firm exclusively focuses on the areas of Social Security disability law and workers’ compensation in order to help disabled workers receive the financial security they need after suffering a debilitating injury or illness. Please contact our Wisconsin law office at (800) 928-2667 or fill out our case evaluation form to schedule a free consultation with one of our Social Security disability attorneys. We can help with your disability claim and make complicated Social Security matters seem much less stressful for you and your family.